During this week’s residential meeting of the trustees of the Anglican mission agency USPG United Society Partners in the Gospel), we have met in the Kairos Centre in Roehampton, and have worshipped in the chapel of Maryfield Convent each day. 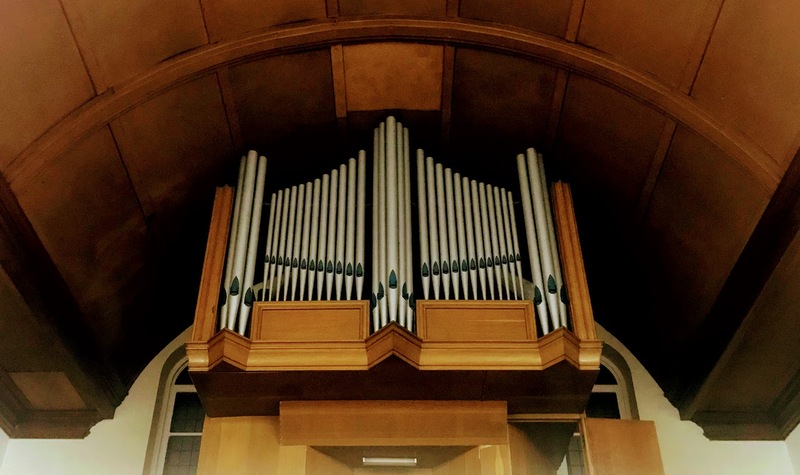 At the end of a working day [21 November 2018], we joined together in the office of Evening Prayer, and before we began today’s work, the general secretary, the Revd Dr Duncan Dormor, presided at the Eucharist in the chapel, marking Saint Cecilia’s Day. 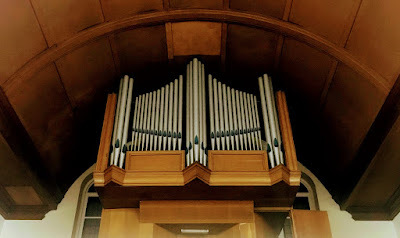 Referring to the celebration of Saint Cecilia as the patron of song and music, and continuing the theme in my reflection on the Book of Revelation yesterday, he asked us how we can sing a new song of hope (see Revelation 5). 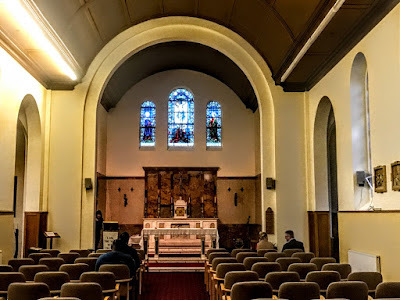 The Chapel at the Kairos Centre in Roehampton, which is almost 80 years old, was blessed and opened on the Feast of the Annunciation, 25 March 1939. 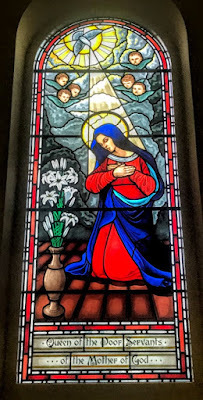 Five novices and 13 Jesuit students assisted at the High Mass that day, and nine postulants of the Poor Servants of the Mother of God, the order founded by Mother Magdalen Taylor in 1869, received their habit. Much of the building work of this chapel was helped by the generosity of Miss Agnes Foley. 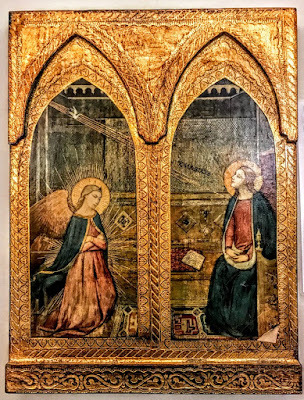 The Altar was made by Rock of Dublin, Gunnings of Dublin supplied the sanctuary lamp and candlesticks, and a marble plaque depicting the Annunciation came from Italy. The side altar was donated by a Mr Segrue, and Agnes Foley gave the organ and a statue of the Virgin Mary and the Christ Child that stands in front of the main building. 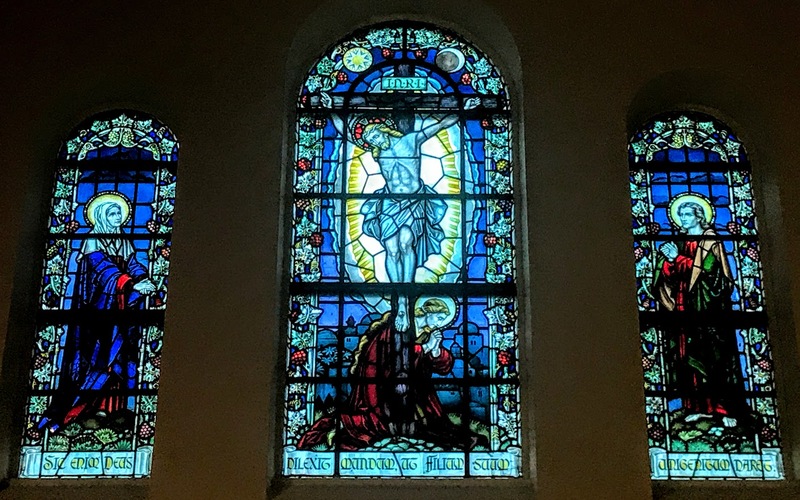 The stained-glass windows behind the High Altar were the gift of a benefactor of Corston Convent. 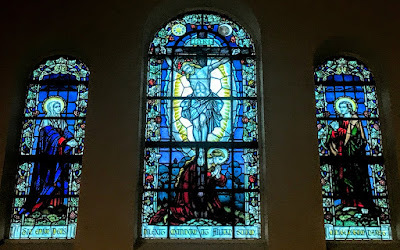 The words underneath these stained-glass windows declare in Latin: ‘For God so loved the world that he gave his only Son, so that everyone who believes in him may not perish but may have eternal life’ (see John 3: 16). The Crucifix and alabaster panelling at the back of the altar and around the Sanctuary was put in place in 1949-1950 as a ‘Thanksgiving Offering’ for the community living through the London bombing during World War II, especially on the night of the burning on 4 February 1944. On 24 September 1959, the body of the order’s founder, Mother Magdalen Taylor (1832-1900), was moved from her grave in Mortlake Cemetery to a side chapel on the anniversary of the day 90 years earlier when she founded the Poor Servants of the Mother of God in 1869. The wooden canopy over her tomb reflects her courage and fortitude. 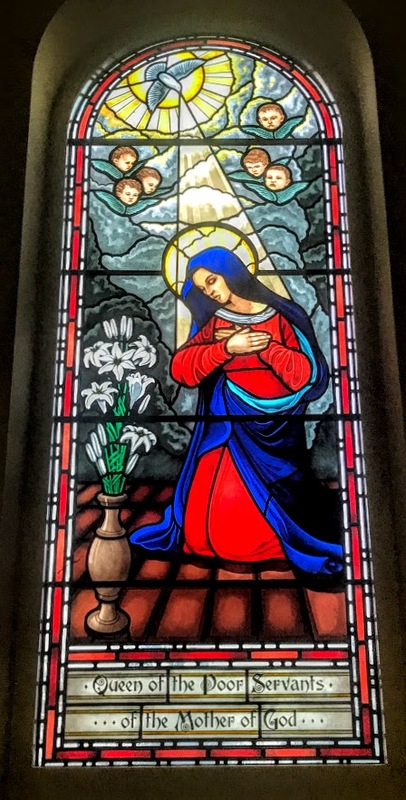 The stained-glass windows in this side chapel show her main devotions: the Sacred Heart Pleading (see Hebrews 7: 25), and the Annunciation (see Luke 1: 26). 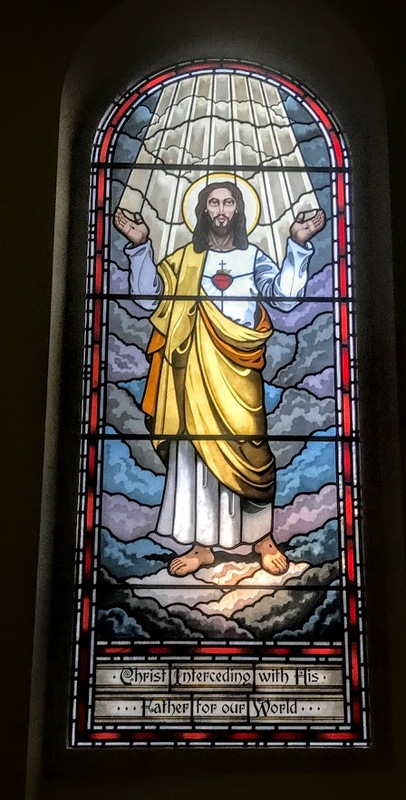 These windows were designed by Daniel and Deborah Burke and were blessed by Bishop John Crowley, former Bishop of Middlesborough on 24 September 2009. 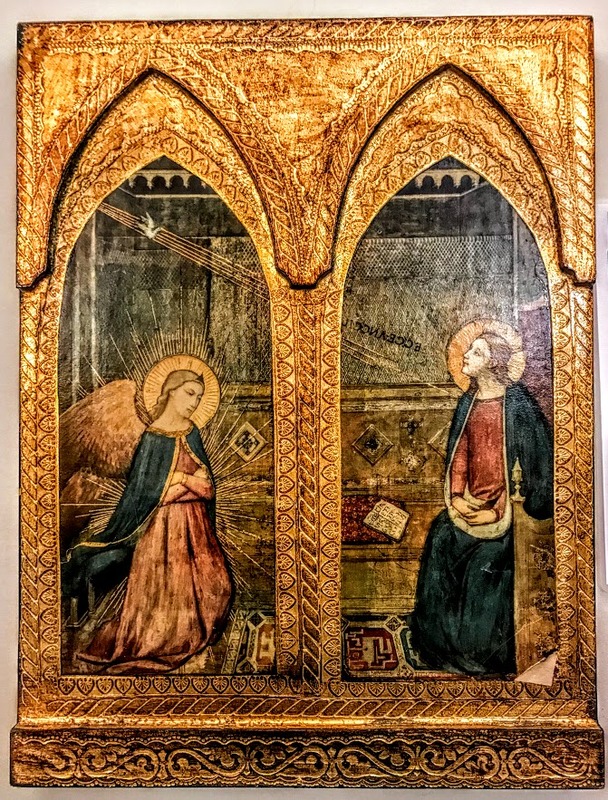 The Annunciation window is interesting for it shows the Virgin Mary after the Archangel Gabriel has left. 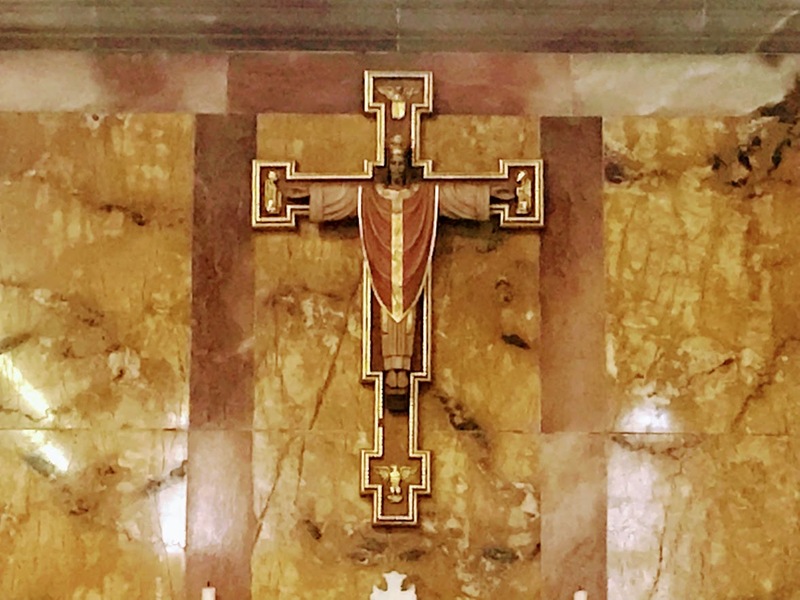 After Vatican II, the High Altar in the chapel was moved to a new position in the Sanctuary to face the people. 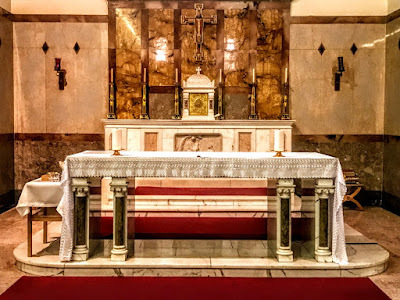 Every bit of the old altar was carefully taken apart and placed again in the new design which was approved by Archbishop Cyril Cowderoy of Southwark, and was carried out by Gunnings of Dublin in October 1968. 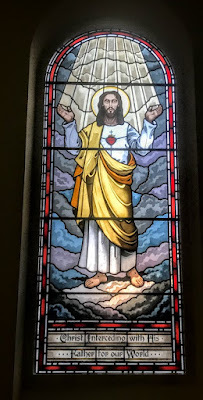 Our meetings each day have taken place in the Rose Room, once the study hall for the young sisters when the Kairos Centre was the novitiate for the order. The name of this room recalls Sister Rose Joseph, who was the tutor to the nuns and the author of a short biography of Mother Magdalen. This room on the ground floor faces west and opens onto a York flagged stone terrace that was particularly attractive at sunset yesterday, and looking out onto a frosty morning this morning.